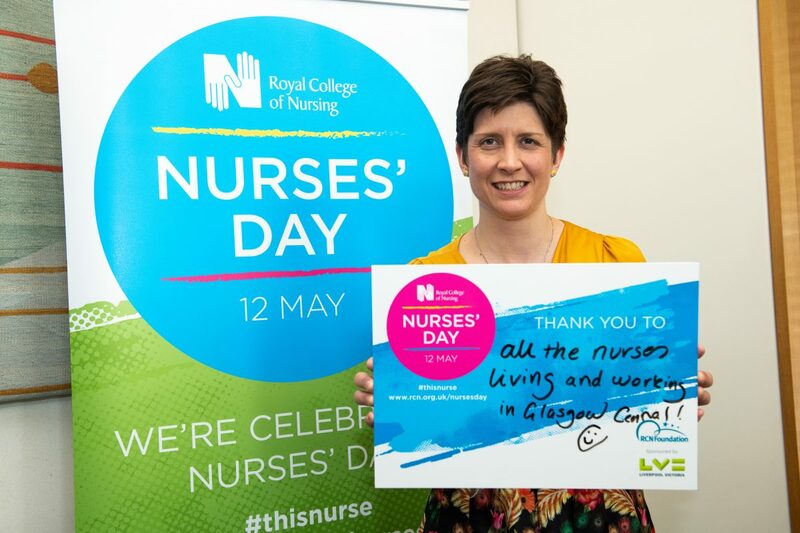 Alison Thewliss, MP for Glasgow Central, celebrated the work of nursing staff in the UK and around the world by meeting frontline nurses as part of the RCN’s International Nurses’ Day celebrations on Wednesday 25 April. The event in Parliament brought together MPs and nurses and give Ms Thewliss the opportunity to hear about the valuable contributions nursing staff make to patient care. Nursing is a highly-skilled profession and nursing staff care for patients in a variety of settings such as, at music festivals, in prisons and in accident and emergency departments. Nurses’ Day is an international event held annually on Florence Nightingale’s birthday (12 May). This year, the RCN is showcasing nurses’ dedication to delivering outstanding patient care and the innovative and diverse roles nurses have in healthcare teams. The RCN is also encouraging nursing staff to use the hashtag #ThisNurse to share stories of colleagues who went the extra mile to provide patient care and times which reminded them why there are nursing in 2018. “Nursing is a dynamic profession with caring for people at its heart. Nurses’ Day is a wonderful opportunity to celebrate the incredible work nursing staff do every single day of the year.